Active: 4x ATK Wood for 1 turn. LSkill: 5x ATK when 2+ Heal combos matched. Reduce damage taken by 50% after matching a Heal cross. Active: Deal damage equal to 10% of enemies' max HP. Change left and right columns to Fire. LSkill: 4x ATK when 2+ Fire combos matched. 2x ATK when matching 5+ connected Fire. 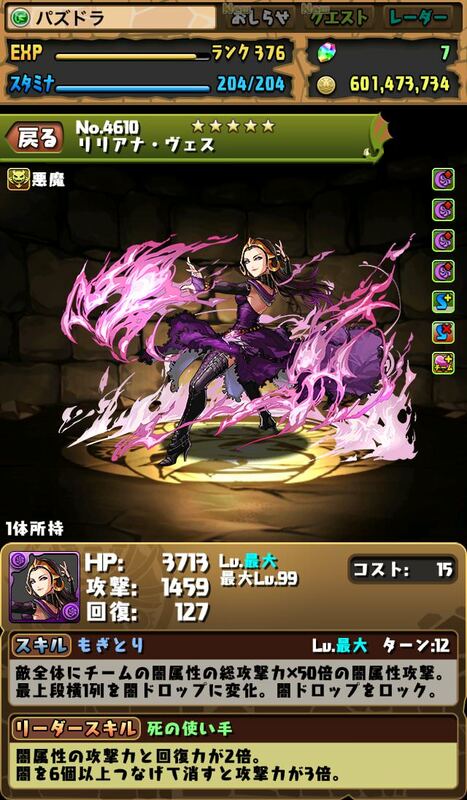 Active: Inflict Dark damage equal to 50x of team's Dark ATK to all enemies. Change top row to Dark. 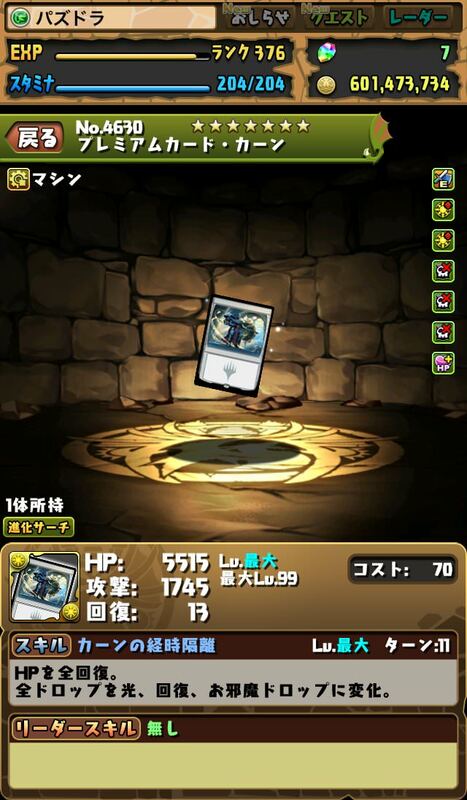 Lock Dark orbs. 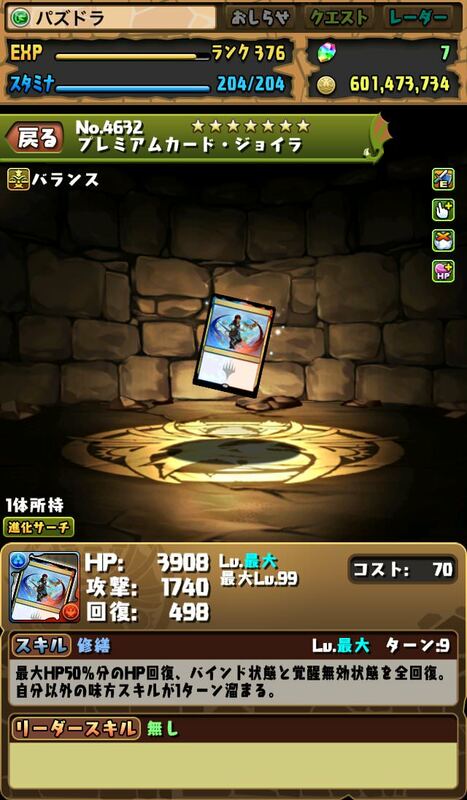 LSkill: 2x ATK & RCV Dark. 3x ATK when matching 6+ connected Dark. Active: Delays enemies' next move for 1 turn. Lethally poison all enemies. 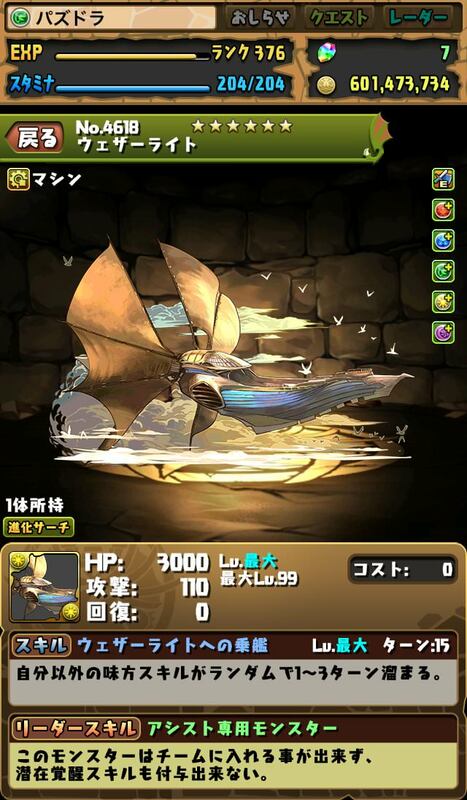 LSkill: 1.5x HP & 4x ATK Water. Increase orb movement time by 2 seconds. 2x RCV when matching 4 Heal. Active: Reduce damage taken for 3 turns. Increase combo count by 1 for 3 turns. Active: Remove orb locks. Change Wood, Jammer & Poison to Light. 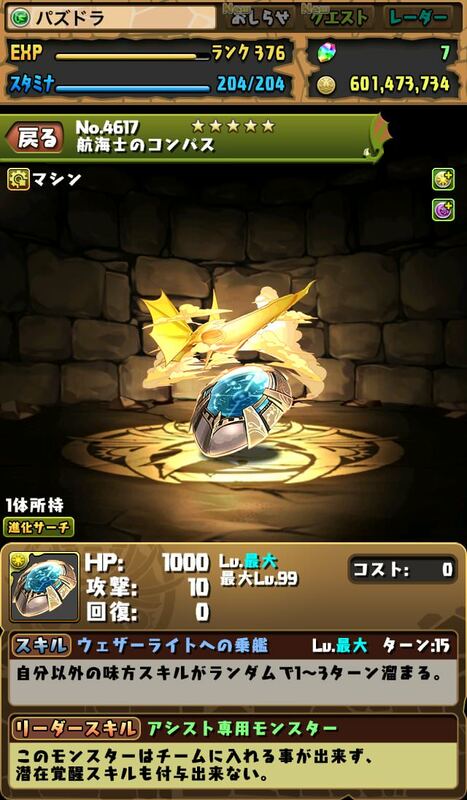 LSkill: 2x HP & RCV for Light. 3x ATK when 5+ combos are matched. Active: Reduce enemies' defense to 0 for 1 turn. 3x ATK Dragons for 1 turn. 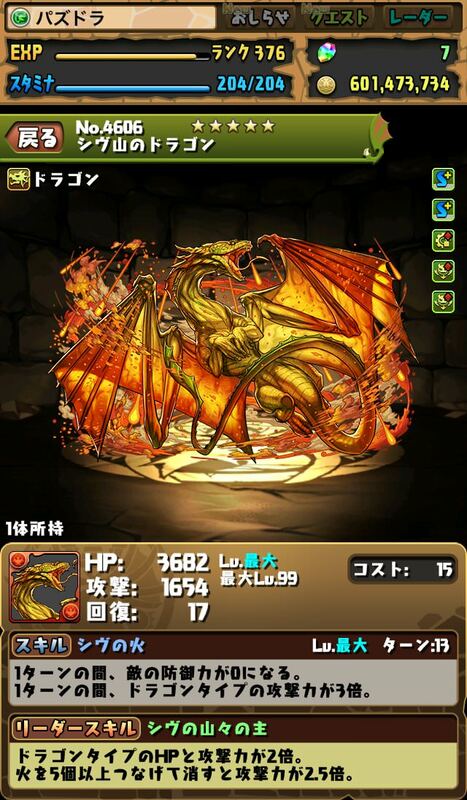 LSkill: 2x HP & ATK for Dragon. 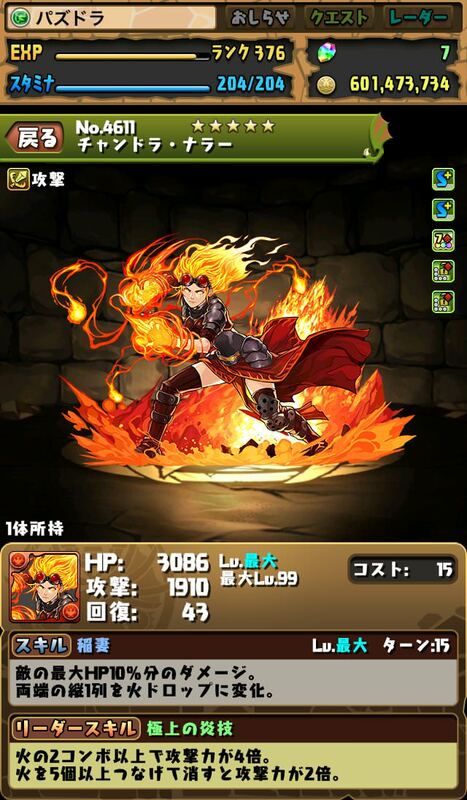 2.5x ATK when matching 5+ connected Fire. 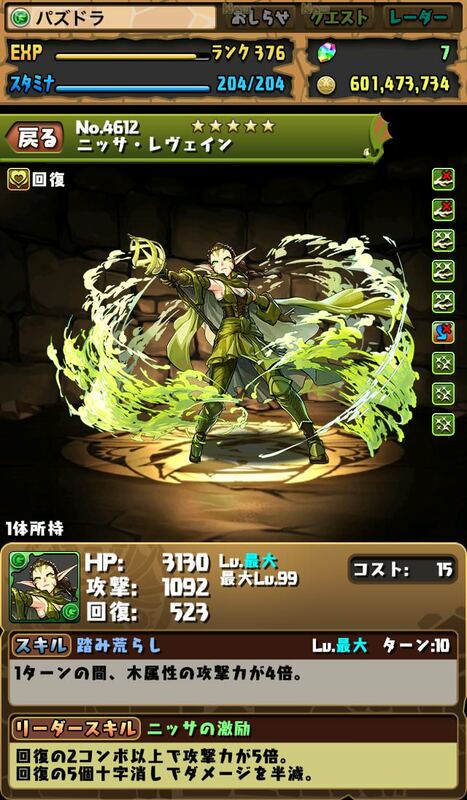 Active: For 3 turns, 2x RCV; Unlock all orbs and change all orbs to Wood, Dark and Heal orbs. 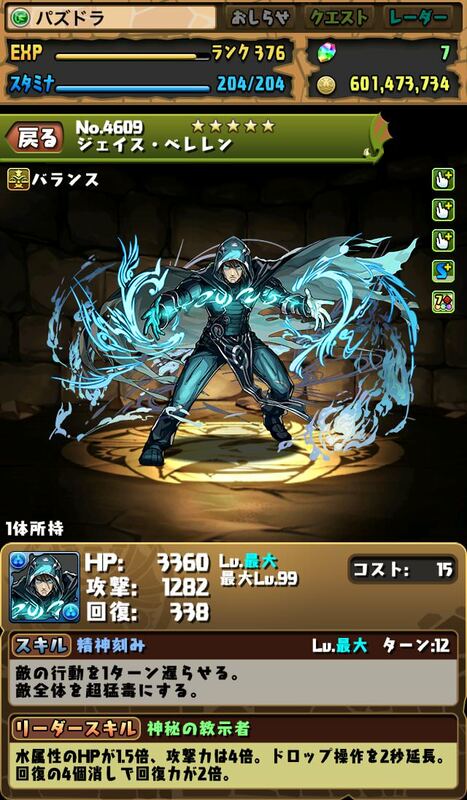 Active: Recover 50% of total HP and remove Bind state & Awoken Skill Bind; Other allies' skills charge by 1 turn. 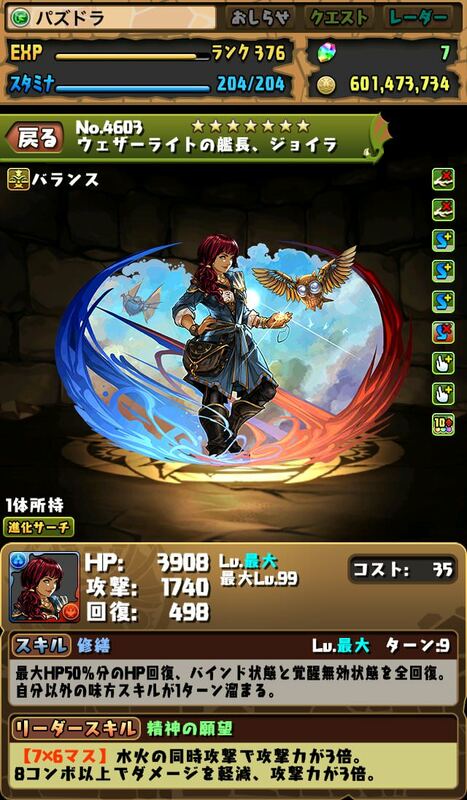 LSkill: [7x6] 3x ATK when Fire & Water matched. 3x ATK & slight damage reduction when 8+ combos are matched. Active: Void damage taken for 1 turn. 2 turn Haste. 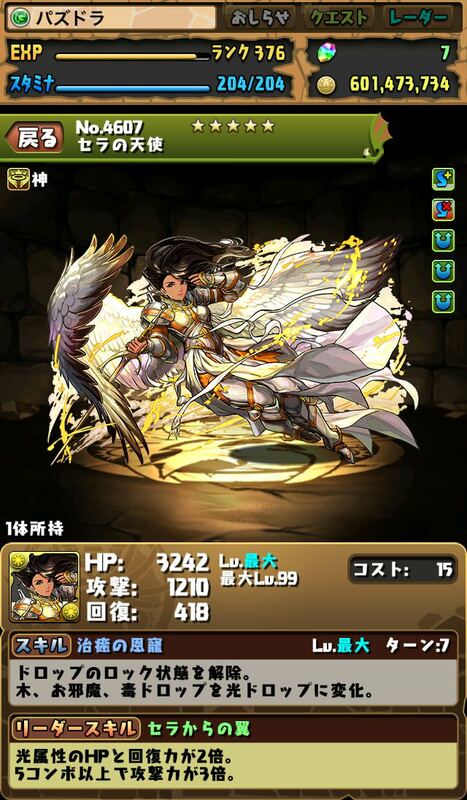 LSkill: [No Skyfall] 2.5x ATK & slight damage reduction when 5+ combos matched. Increase ATK based on the amount of orbs leftover, up to max 12x ATK (starting from 8 leftover orbs). Active: Full HP Recovery. 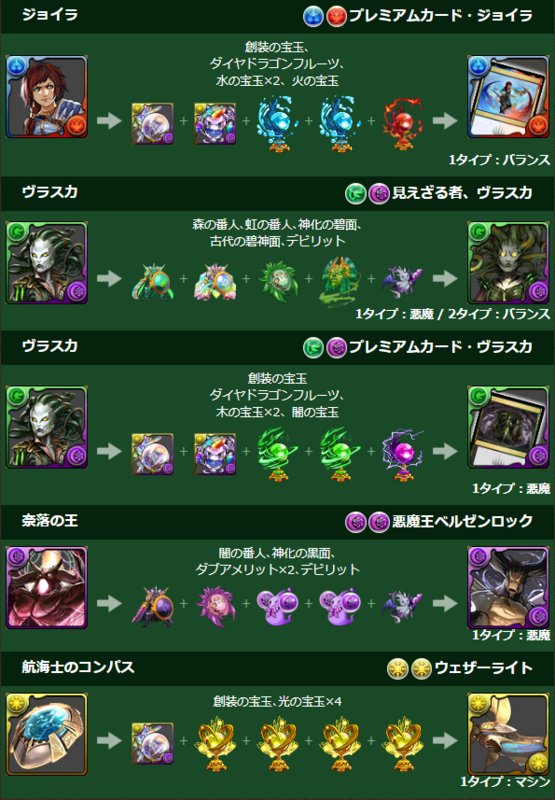 Change all orbs to Light, Heal & Jammer. 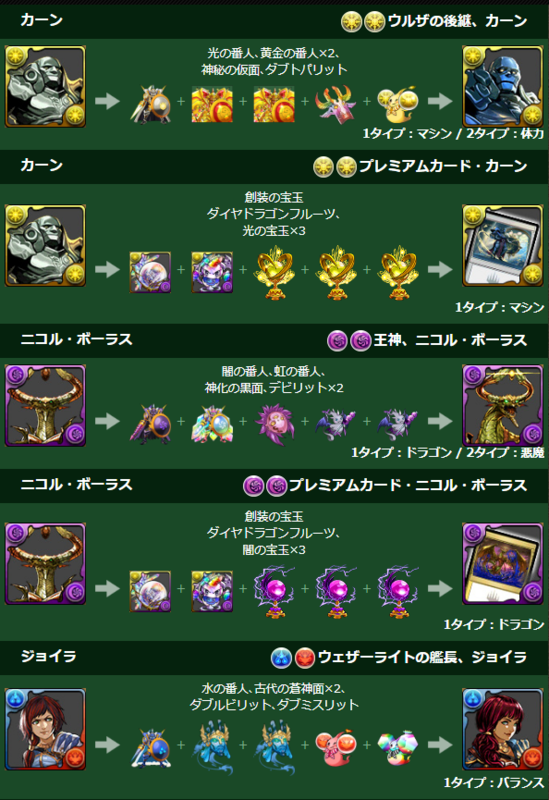 LSkill: 3x ATK & slight damage reduction when 4+ connected Jammers matched. 4x ATK & slight damage reduction when 2+ Jammer combos matched. Active: Increase Poison skyfall rate for 1 turn. Spawn 3 random Dark and Poison orbs. 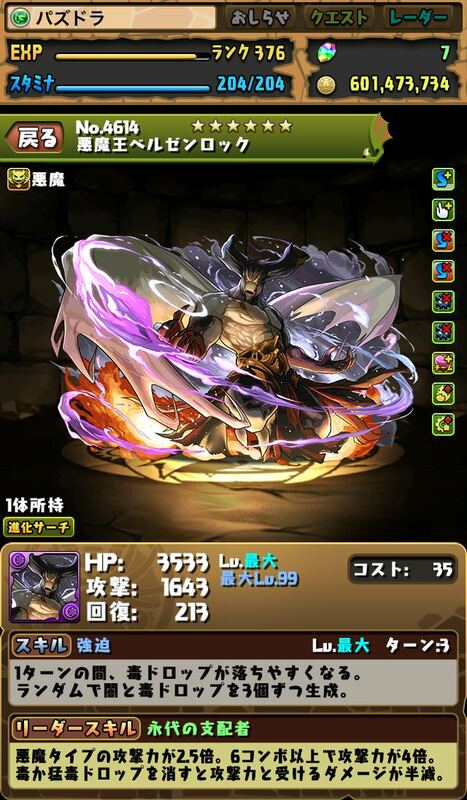 LSkill: 2.5x ATK Devil. 4x ATK when 6+ combos matched. Half ATK & reduce damage taken by 50% when Poison or Mortal Poison are matched. LSkill: Unit cannot be placed on team. 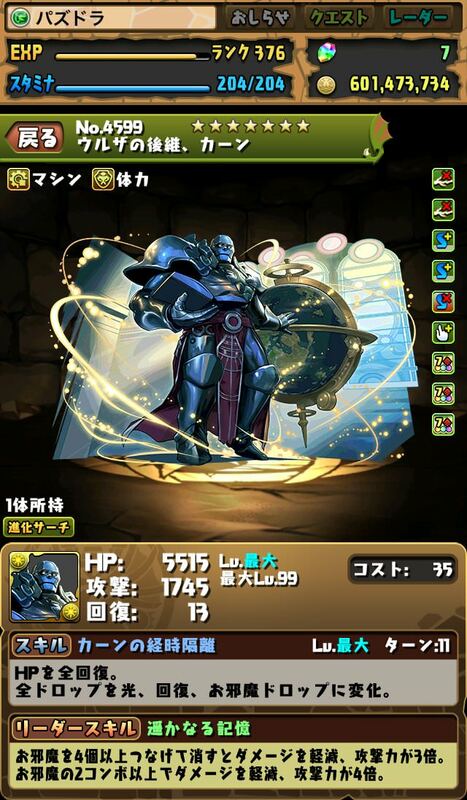 Unit cannot have Latent Awakenings. Jhoira, a possible candidate to be the next Diablos, or even dethrone him? I also note that she has the 10-combo boost instead of the 7-combo boost. Not to mention a MUCH shorter cooldown. Yeah. She's trivially more restrictive than Diablos, for a marginally better multiplier... plus Odindra's skill, and better damage control. Time will tell what the damage reduction is, but 25% is a safe bet. Guard Break is trivial when you have ultra hitting sub like Ideal, Yusuke.... or Jhoira herself. And I don't remember the last time I ever use Diablos' looooooooooooooooooong CD skill since it was ages ago when I went Arena for the lulz. Also true gravity is useless in glass cannon team. Her active skill is undeniably better than Diablos'. But it's still pretty garbage TBH. 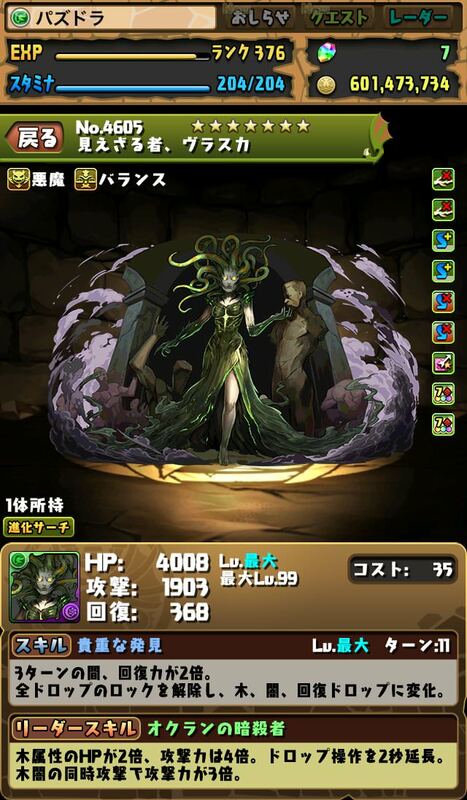 Even ragtag farmable teams don't need bind clearing or awoken bind clearing, let alone actual decent endgame teams. While a 50% heal and skill charge are pretty good, it's FAR from the best AS in the game, especially on a 9 turn cooldown. I'm surprised that Nicol Bolas and Karn aren't 7* consider their MTG cost. Shouldn't Serra, the original Does Not Tap to Attack, have bind immune? I am friends with the illustrator that painted the MtG Serra Angel card that the art from this collab is copied from. 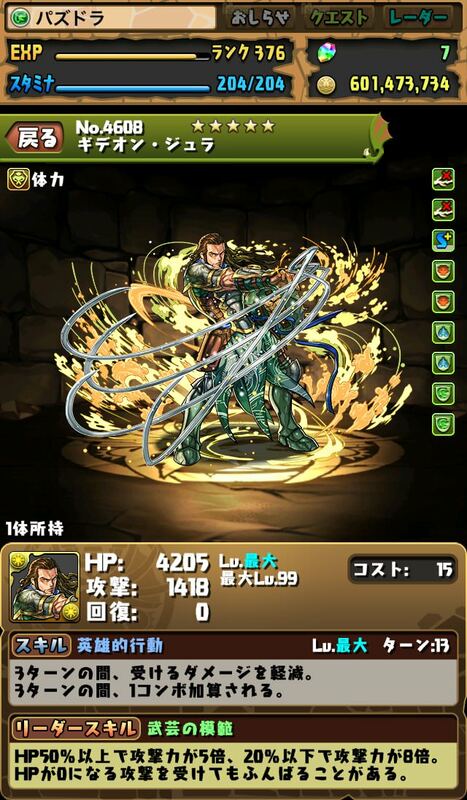 I really hope GungHo is going to give credit to him for the art. And all the other original artists. DnD's been doing that angel pose for decades now. Angry raptors have been doing it for millennia. “Copied”? You’re crazy if you think referencing a pose (if even) is considering copying and deserving credit. Not to mention that this is a very common pose in general. 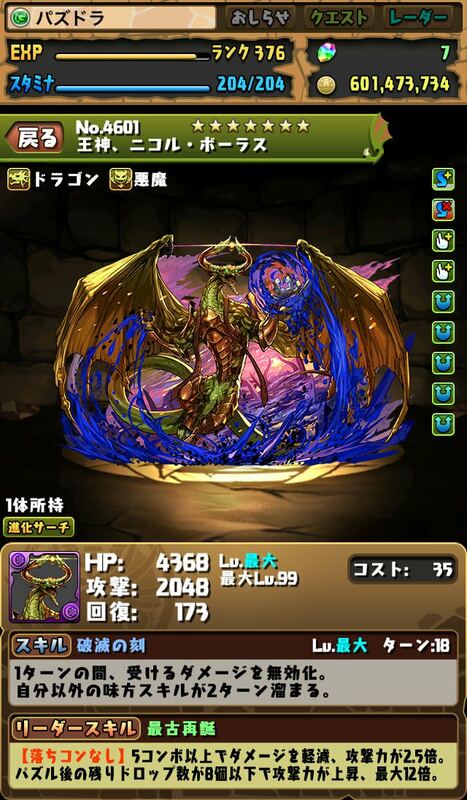 Multiple monsters in PAD also have a similar pose that matches this, so why is this one requiring “credit”? 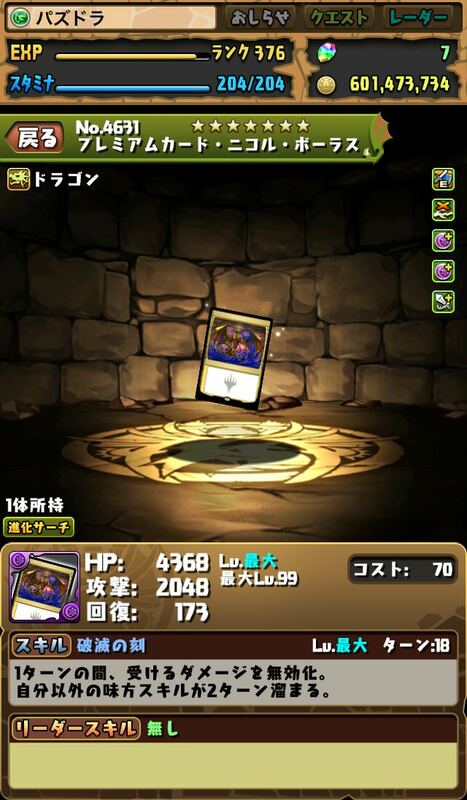 Unless Gungho straight ups rips a piece of artwork or traces it line-by-line, they don’t owe anyone anything. This artwork for Serra Angel is entirely orignal; different lines, coloring, and even the angle of the pose is different. Void, Haste, and Slight damage redux. I like that the jacetice league is garbage and jhoira, bolas, and karn are actually good. I am not unhappy with anything here. I only hope the collab stays active and is successful enough to come around more than once and get buffed/additional units in the future. Now I'm not upset I got a bunch of dupe 6☆ GFE last Godfest. I get to trade for Jhoira regret-free now. I want a Nevinyrral's Disk that kills all of the monsters on the current floor. or a monster with time walk as its skill. Platinum Angel as a 1 million MP shop purchase. Totally worth it. For the karn evo art, why does the pre-evo art look like karn liberated? He's so much stronger than scion of urza! 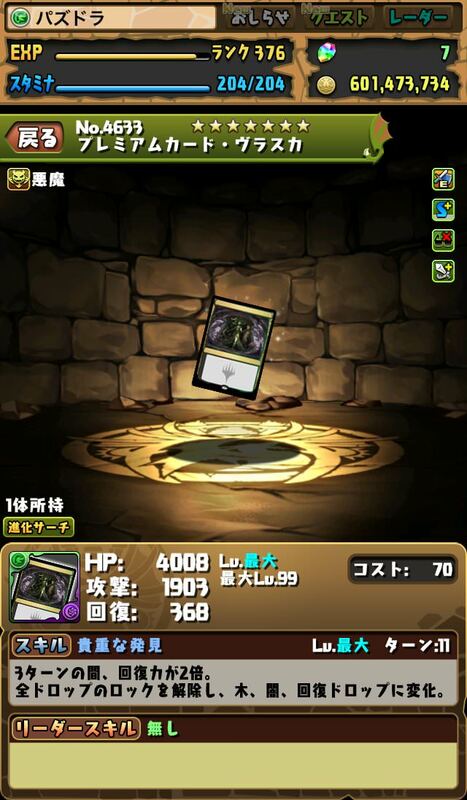 Once again, crappy monster cards from a crappy franchise collab. When we we get a collab with a game that people actually care about nowadays, like Runescape, Neptunia, or Neopets?